After many summers where I thought about moving my blog to WordPress, I have finally followed through on this. You can find me patrickmlarkin.blog. Chris Tsang on Twitter: "Getting teachers into each other's classrooms in a nonjudgmental way is one of the best PD opportunities - this is one way to do it! https://t.co/vI0jWfXG8P"
Districts, networks and schools nationwide are holding community conversations and updating their desired learner outcomes. Carol Salva on Twitter: "@emilyfranESL @noasbobs Did u see this by @Larryferlazzo? His larger scale empathy project has inspired me. https://t.co/O8tepWsMg8 #blc17 #Newcomers #Refugees"
Switching Careers Doesn’t Have to Be Hard: Charting Jobs That Are Similar to Yours is the headline of an interesting NY Times interactive that lets you see how your present occupation is like – and unlike – others. "The companies that think their employees’ digital IQs are unimportant are probably few and far between. After all, in just one decade the concept of “digital” has changed from a niche skill set to something that’s mandatory for virtually all blue-chip companies." "The problem with meetings is that they are often boring, and they don't usually get the desired results. There are a couple of reasons this happens. I'd like to share some of what I learned from Lencioni's book and encourage you to read it if you would like to have killer meetings instead of death by meetings." 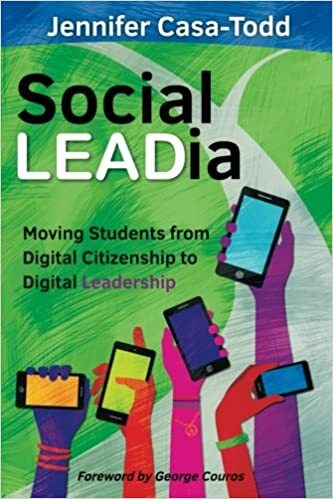 Bob Farrace on Twitter: "@patrickmlarkin Participate in connected communities, speak publicly abt: (1) what they're learning, (2) how they're applying it, (3) how they are iterating"
"Books can give children an entry point to taking action in the outside world by providing examples of how to address bullying, bias, and injustice." Christian Binganisi on Twitter: "@patrickmlarkin Provide teachers with the ability to connect with like minded peers, allowing them to share best practices which would benefit the students"
Natick Schools on Twitter: "Natick parents, don’t forget to use myON with your kids this summer for summer reading. Check out summer guide for more info! https://t.co/blgdqw2Jip"
Peter Pappas on Twitter: "@patrickmlarkin It starts with idea that PD should model what you want to see in the classroom. A Guide to Designing Effective PD https://t.co/pAAZNZ5Cde"
The MSPA is a collaboration of Massachusetts school districts that share common concerns around student privacy. The goal of the MSPA is to set standards of both practice and expectations around student privacy such that all parties involved have a common understanding of expectations. “Once they started to see a positive impact of what they were publishing online, they began to understand they had the power to develop their own digital presence and could network with industry professionals in their fields of interest,” says Scheffer. Chris Cline on Twitter: "Great thought from @patrickmlarkin Creation vs consumption, digi cit, C & C readiness, online portfolios- so much in 1 quote #wcpsmd #cpchat https://t.co/Mvx2xbiASj"
#BookSnaps – How-To-Videos and Examples – R.E.A.L. #BookSnaps – Snapping for Learning – R.E.A.L. Dean Shareski on Twitter: "This is such a great example of high quality feedback and the effort it takes to make beautiful work. https://t.co/6ZcfHGbvVT #CSBA2017"
H. Poteat on Twitter: "This, from Chief Justice John Roberts at his son's graduation, is really beautiful. And unexpected. https://t.co/OCF0iVjwu1"
Here’s a blog about #iste17 https://t.co/RmNyRRvQBZ #313teach We can’t stop growing and having passionate conversations. Kerry Gallagher on Twitter: "Plz take 5 minutes to listen to my interview with CBS News Radion about how parents can respond to Pres. Trump's tweets #edtech #digcit https://t.co/FwuIVopB41"
Updated American demographics: becoming an older, more diverse nation https://t.co/mBEGs5GCKJ Interesting. "But it’s not easy to make that change, O’Connor said, even if it really would be better for teens. Even if school starts later, parents’ jobs don’t, which would mean more teenagers who have to get themselves up, fed, dressed and to school without any adult supervision or assistance. Because of the impact on bus schedules, younger students could end up starting school earlier than ever. " Wakefield Public Schools website for alternative assignments if school is cancelled due to inclement weather. Common Sense Ed on Twitter: "The world looks different than it did when we grew up, but is it that different? #teaching #edchat https://t.co/Yn4USLD5NU"
A study found that almost a quarter of things you see on social media are either faked or exaggerated. However, ‘faking it’ can have consequences on your health with issues such as poor mental health and low self-esteem are increasing as a result.